Scans TurboC source files to produce a list of the header files that contain the prototypes for the library functions called. 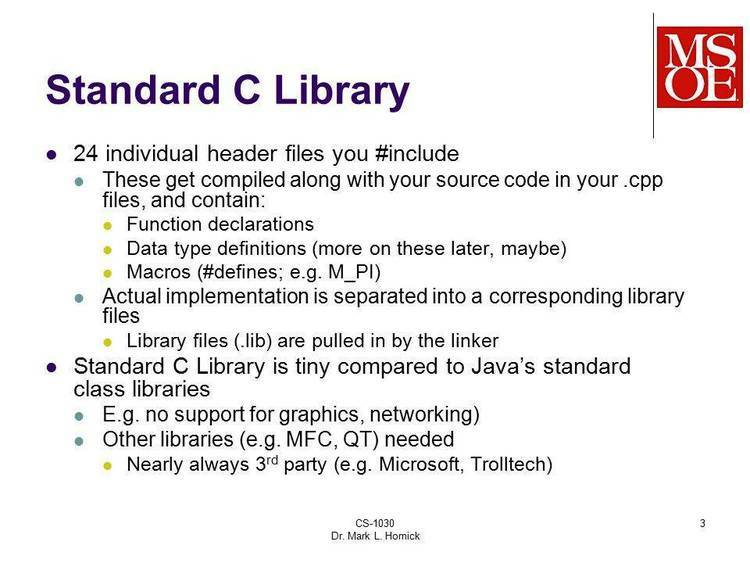 C source included. where if outfilespec is omitted, output is to stdout. -n if present, outputs the file header names only. header files contain their prototypes. global variables, etc. whose use would require their inclusion. HeadHunt does not pick these up. I left these out for several reasons. the compiler is sure to complain and alert you if they're left out. identifiers to functab and headers.